Back in March, we reported that rumors coming out of Paramount suggested that the studio was essentially giving up on the Terminator series, with a planned sequel to Terminator Genisys supposedly being put on hold indefinitely. Also, the timing of that rumor seemed to indicate that it had something to do with original Terminator director James Cameron being set to get some of the rights back in 2019, as well as a story that Cameron was in talks with Paramount about becoming a special “adviser” for the Terminator brand, but nothing has come of that just yet. Now, though, Arnold Schwarzenegger himself is saying that the future of the Terminator series isn’t as bleak as people think it is. 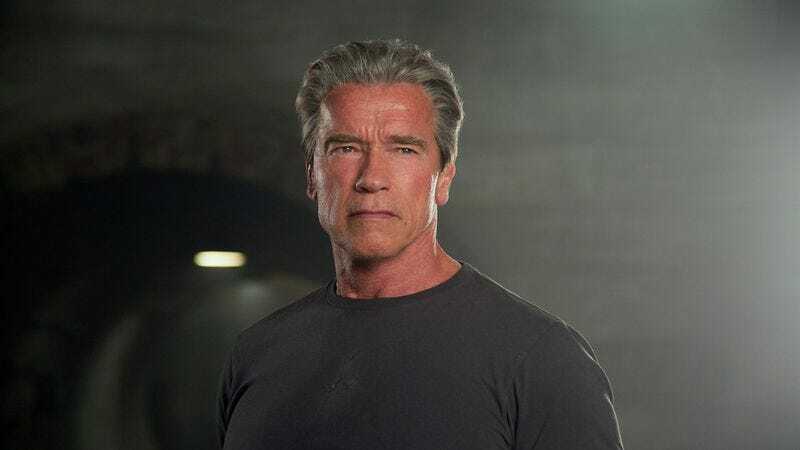 In an interview with Fandango, Schwarzenegger said that the rumors of the series being dead are overblown, and even if Paramount does decide to drop it, there are “15 other studios” willing to revitalize the Terminator name in its place. He wouldn’t offer any specifics beyond that, but he seems confident that someone will keep the series going even if Paramount won’t. Assuming that happens, Schwarzenegger also made sure to note that he’s “looking forward” to appearing in yet another movie, so there is a significant amount of self-interest in his assurances that there’s still life in the series.